It’s Onsite Week here at Hireology, and I couldn’t be more excited. 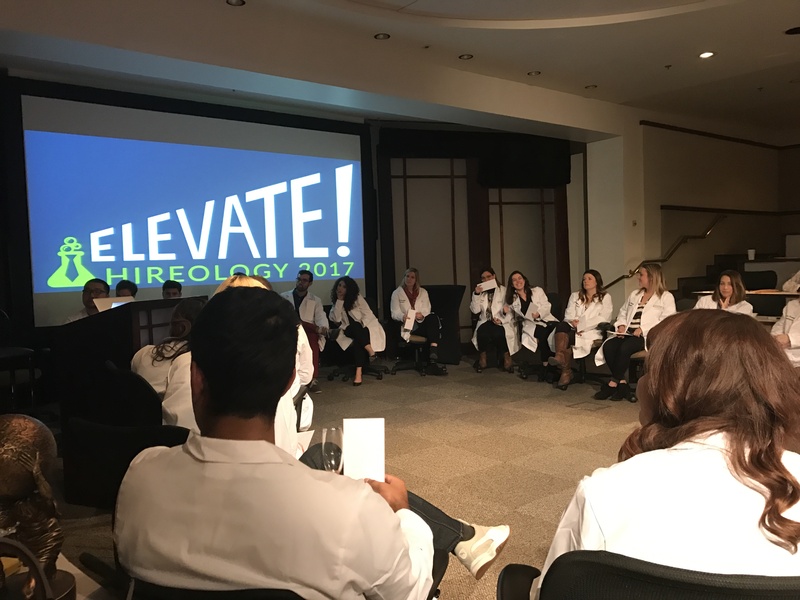 Twice each year, we bring everyone to Hireology HQ in Chicago to work together as a team and spend time getting to know one another. Many of our team members are home-based, and as the organization has scaled, these Onsite Week events have been a critical culture-building tool for our company. I can’t overstate the lift to our employment brand – and, by extension, our recruiting success – that being “remote-friendly” has made. Hireology has always embraced the notion of a remote workforce. In fact, our very first engineering hire was remote; he was located in Ohio, Hireology’s headquarters is in Chicago. Over the years, we’ve grown our remote team to comprise about twenty five percent of what is now a company of 120 team members. Access to talent. Name one person who thinks the United States is oversupplied with skilled engineering and technical talent. If we constrained our search for that next superstar to our local metropolitan area, we’d be competing with every other company for a finite pool of talent. By expanding our pool to the entire United States, we are able to tap into the broadest possible talent network while remaining highly selective about whom we hire. When you have the luxury of being highly selective, you can consistently hire great people. When you hire great people, word gets out that your company is a team of top-performers, which, in turn, attracts more great people. Communicate trust. When you make the decision to become a remote-friendly organization, there is one absolutely mandatory pre-requisite before moving forward: senior leadership has to buy-in. If you’re going to go remote, you have to ditch any notion that team members who work from home will abuse the privilege because the foundation of a successful remote work culture is the trust you give these team members. In my experience, the highest-potential hires want to work for an employer that trusts them to get their job done; micromanagement causes A-players to bolt faster than just about anything. When you go remote, you’re communicating to potential hires that you’re a company that trusts its people. Get more done. The best part about being stuck in meetings at the office is that you get absolutely nothing done all day, right? Sarcasm aside, I’ve found that allowing your team to decide whether or not to work remotely empowers them to choose the structure that maximizes their productivity. That naysayer on your management team who thinks home-based workers aren’t as productive is dead wrong. In fact, a Stanford University study found that home-based workers are nearly 14% more productive than their office-based brethren. That’s one full extra day of work per week, and a lot less brain damage. “You can actually get sh*t done at this place” is a major draw for talented engineers who want to maximize building things, and minimize meeting time. Are there downside risks to going remote? Yes. Managing a remote workforce effectively require tools and techniques with which few managers come equipped. Additionally, the CEO must maintain a near-paranoid focus on preserving a “one culture” environment, or else you end up running this risk of a bifurcated culture – one “office culture” and one “remote team culture.” That’s a death sentence for a high-performance culture, and it’s on the top leader in the organization to shoulder that burden.